As the dynamic leader of Keller Williams Realty. Yaniv is a renowned real estate professional with over 10 years of experience. NJ Realtors® Circle of Excellence Sales Award, KW Top 3 producer 2014-2017. In-depth understanding of the market and products has establish him as a top RE Market leader.Yaniv manage our dedicated team of professionals and is the ultimate decision maker at our company. He provides strategic planning and overall advisement to our team. 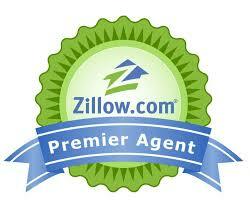 Allowing every home owner or buyer to benefit from his expertise. His sincere interest in care of every person and passion for excellence produce an unparalleled real estate transaction experience. Selling your Home Yaniv has the expertise to handle every aspect of the sales process - from strategically marketing and showcasing your home to making sure everything's signed, sealed and delivered by the closing date. Working for you every step of the way. Buying YOUR dream home Whether you are a first time home buyer, upsizing - downsizing, or relocating, Yaniv takes the time to get to know what's important for you and your lifestyle to have in your new home and neighborhood. In addition, Yaniv works closely with many mortgage lenders offering Conventional, FHA, VA, USDA loans and can help get you pre-approved or pre-qualified for a home loan quickly and easily.